Black Panther has become the first Marvel Cinematic Universe movie featured on the cover of TIME Magazine, with Chadwick Boseman pictured as the new King of Wakanda, T’Challa. The Black Panther movie was always going to be a big deal, but there was no guarantee that it would honor the source material and/or resonate with audiences. Fortunately, thanks to the efforts of creatives like writer/director Ryan Coogler, Oscar-nominated cinematographer Rachel Morrison, and stars like Boseman, Michael B. Jordan, and Forest Whitaker, the Black Panther solo film is well on its way to becoming both a cultural and financial juggernaut. Black Panther has now broken Fandago’s pre-sale record for first quarter films, as well as that for superhero movie pre-release ticket sales in general. It looks like the film will hit somewhere in the ballpark of $150 million domestically over its 4-day opening frame, giving it one of the MCU’s biggest solo debuts to date. In addition, early reviews for Black Panther praise the movie for being not only a socially and politically important superhero blockbuster, but an entertaining and action-packed one as well. Now, the movie can add another bona fide. Author Jamil Smith tweeted out the cover for the latest issue of TIME, which features Boseman on the front cover. Inside, the featured story has Smith examining the cultural significance of Black Pantherand talking with both Coogler and Boseman. Most people will have to wait a bit longer to see the film for themselves, but it’s certainly encouraging to see so much positive press for the movie. 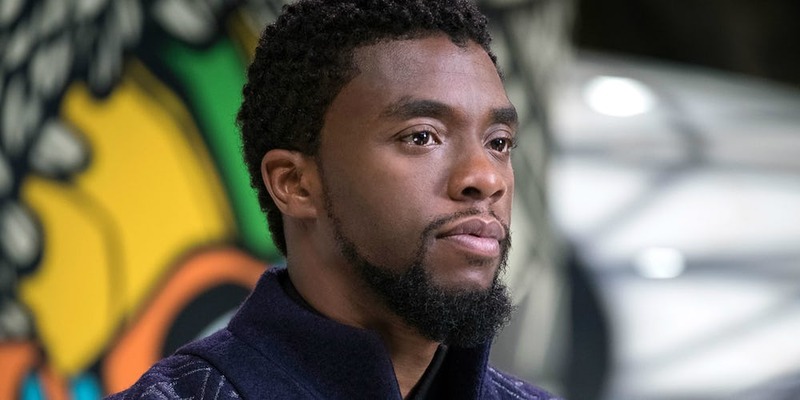 It’s take ten years for Marvel Studios to make Blank Panther a reality, but that approach (fortunately) seems to have resulted in a remarkable blockbuster and piece of pop culture.